The tube station at Chalk Farm is my favorite of the ones I have come across in London. It’s a big red triangular building on the corner of Adelaide Rd and Haverstock Hill. 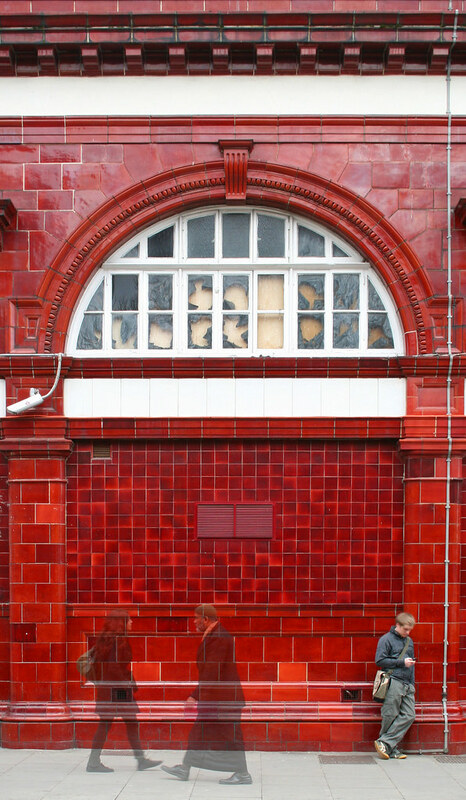 It was opened on June 22nd 1907 and like a number of other stations built at that time it has ox-blood red glazed terracotta blocks on the front to provide it’s very bold unique look. Have a look at other people’s pictures of the station on Flickr.